The Powerscreen® Trakpactor 320 & 320SR are designed for operators and contractors who demand high product shape consistency and excellent reduction for recycling and quarry applications. It is a mid-sized horizontal impact with track mobility; the plant is capable of working in the most demanding situations and features a fuel efficient direct drive system, rapid set-up time and excellent throughput capacity. 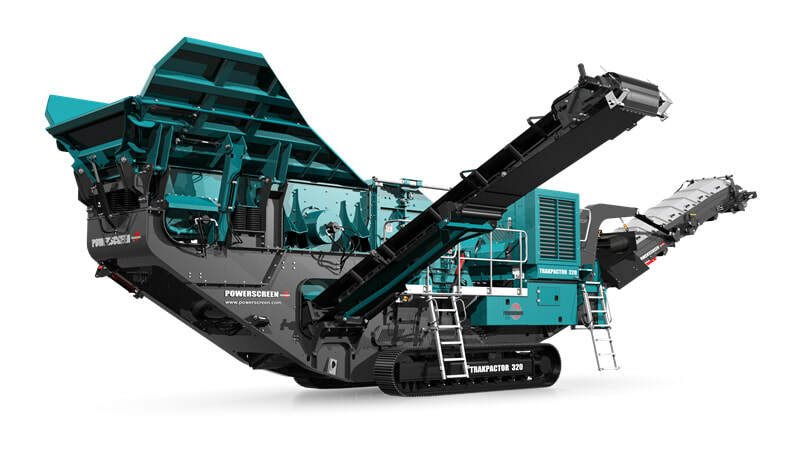 The Powerscreen® Trakpactor 320SR includes a screen and recirculating (SR) conveyor which returns oversized product to the crusher for further reduction.